The What: Evertz AV has released its next generation MMA10G-HUB with 4K/UHD resolution support and options for HDBaseT I/O. The What Else: The MMA10G-HUB is an in room audio and video switcher that uses Evertz MMA-10G network based AV distribution capability. 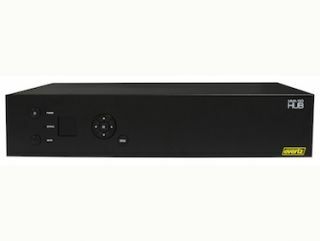 The MMA10G-HUB can now be ordered with up to eight video inputs and four outputs, HDMI, or HDBaseT. With the addition of HDBaseT support, the HUB can quickly and easily be installed to interface to any HDBaseT transmit or receive device used in the space for extension from wall plates to table tops, projectors, and displays. The Bottom Line: The HUB can also be connected to multiple rooms or the entire facility. The new MMA-10G HUB will be on display at EvertzAV’s InfoComm Booth (N627).